Rocky Ford Creek is a spring creek located 60 minutes east of Ellensburg in Ephrata, WA. Rocky Ford is a fly-fishing only stream fishable year round and offers consistent fishing for rainbow trout up to 10 pounds. 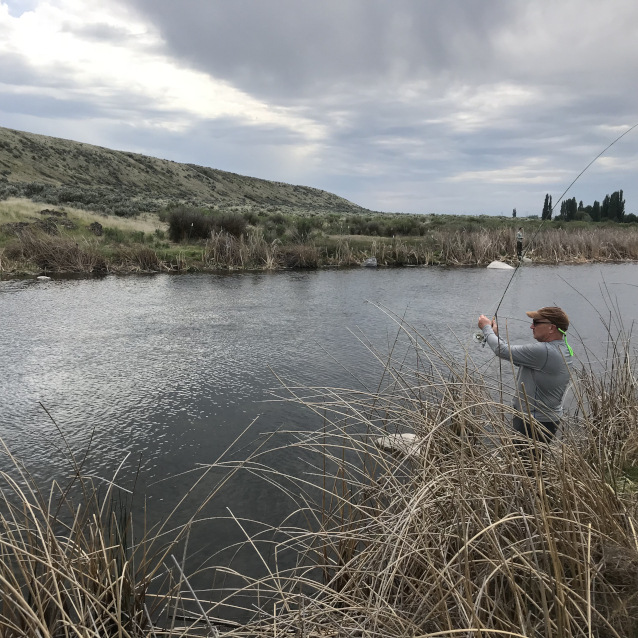 The fishing at Rocky Ford can be very technical at times, requiring long leaders and small flies. 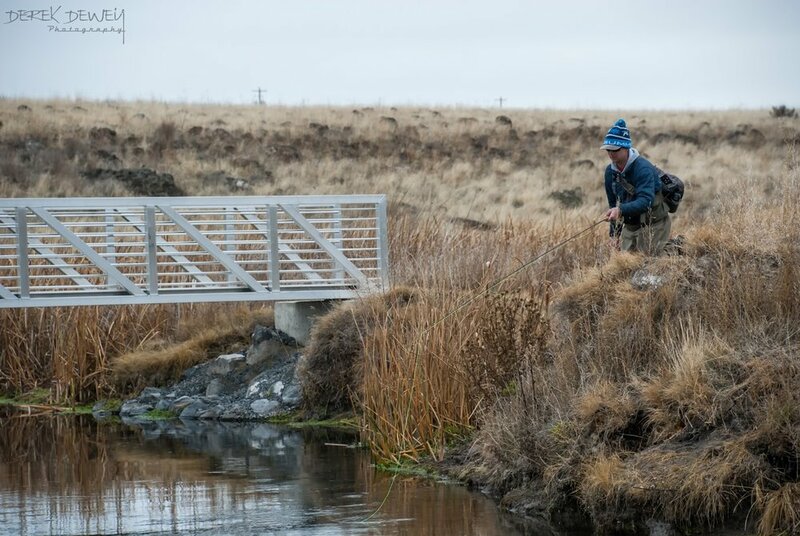 It is a great destination for anglers wanting to test their skills against big, wary trout. There are special rules and regulations in place in order to maintain the fishery at Rocky Ford. It is a catch and release only, fly-fishing only, no bait fishing, single barb-less hooks only, and no wading. All casting must be from the banks! We usually suggest fishing Rocky Ford from November through May. We usually avoid Rocky Ford during the summers months due to thick aquatic vegetation and thick bank vegetation that can make casting very difficult. 8 hours of guided fly fishing from the banks of Rocky Ford with one of our Orvis-endorsed guides. This trip includes any gear you may need (rod, reel, waders, boots, terminal tackle, etc. ), snacks, non-alcoholic beverages, and a gourmet creekside BBQ meal. *Trip prices do not include alcoholic beverages, a Washington State fishing license, sales tax, or guide gratuity.